A St. Francis doctor saved three Kosovo girls born with holes in their hearts all on the same day: Wednesday, January 18, 2017. A day the girls and their families will never forget. 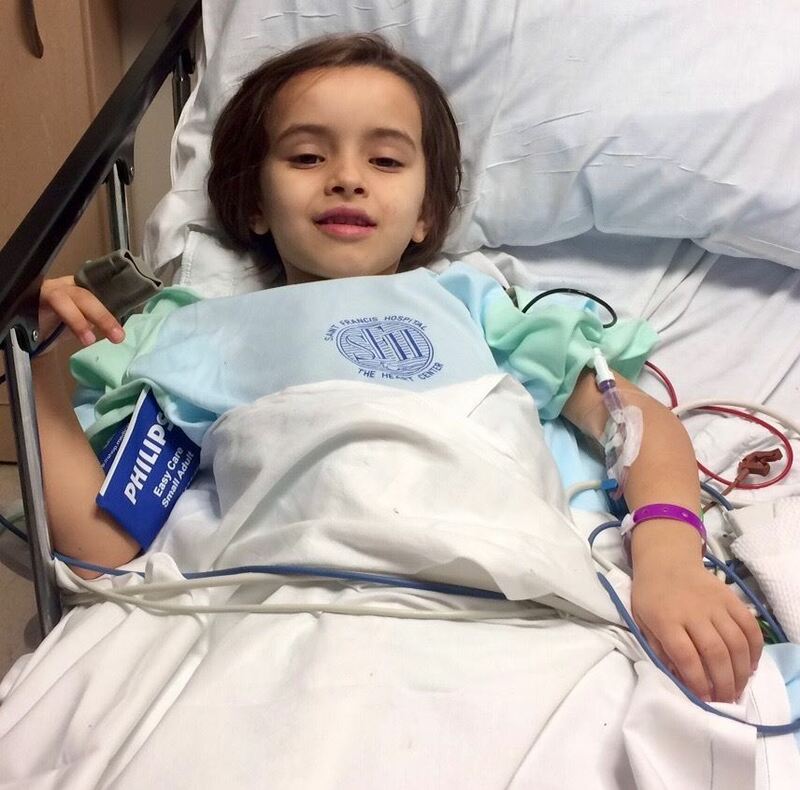 Six-year-olds Vlera Xhaferi and Alea Zeqiri and nine-year-old Muhala Krasniqi suffered from Patent Ductus Arteriosus or PDA, a congenital heart defect that made them too tired to play like other children their age. Yet thanks to a minimally invasive procedure to correct their congenital conditions the three girls now look forward to playing without getting out of breath. “By using a tiny plug threaded to a catheter inserted through a tiny hole in the girls’ legs, we were able to close the holes in their hearts, much like inserting a cork into a bottle,” says Sean Levchuck, M.D., Chairman of Pediatric Cardiology at St. Francis. “The girls were discharged the same day after receiving the procedure, with no pain and just a band aid,” adds the doctor, who donated his services. On the car ride home to Ronald McDonald House of Long Island, the girls were talking and giggling with each other. Gift of Life Program Director Mary Reardon asked translator Arber what they were saying. "They were comparing how they didn’t remember anything after the air hit their noses and waking up,” he replied with a smile. All of the nurses in the Cath Lab and Post-Anesthesia Care Unit (PACU) fell in love with the girls from so faraway. The children’s life-saving trip to the U.S. was sponsored by The Gift of Life, Inc. Pictured above is six-year-old Vlera Xhaferi smiling from her hospital bed as she recovers from the life-saving procedure that closed the hole in her heart.